They say that it’s better to give than to receive. Well, giving to charities can also get you something in return from the IRS as well, in the form of tax breaks that will help to lighten your tax burden. The key is to know how to maximize the benefit of those tax considerations allowed by the tax code. Most people just take the standard deduction and call it a day. If you’re a particularly philanthropic individual, then you may want to take advantage of every deduction available in order to maximize the value of your contributions each year. That isn’t the point, of course, but if you have the option to take multiple deductions you may as well at least explore what they are and how to claim them. There’s nothing wrong with getting rewarded for helping others and the tax code does just that with respect to charitable giving. While the tax code does provide a range of deduction options, they certainly don’t make it easy when it comes to figuring out what to claim, how much, and whether or not you even qualify for those deductions. Like anything that concerns the IRS, you’ll need to navigate a litany of guidelines and requirements in order to comply with the tax laws where deductions are concerned. As usual, itemization is a fundamental component for claiming anything beyond the standard deduction. You’re going to need ironclad proof to back up your claims in the form of paperwork and receipts documenting the content and dollar amounts of every contribution that was made for the current year. There are other limitations and restrictions in place with respect to the charities themselves and how much you give to them in relation to your adjusted gross income (AGI). It all sounds very complex and confusing at first glance, so we’ve put together this handy guide to help make it all somewhat easier to navigate and understand. This will provide you with the necessary information for staying compliant with the IRS guidelines while maximizing your charitable contributions for tax purposes. The first rule of anything regarding the IRS is pretty basic: if you don’t have sufficient documentation as proof of your claims, then it never happened. In order to do this effectively, you’re going to need to have some form of paperwork as it relates to the type of contribution that you made. There are two things you can typically donate to charities, cash and goods. The first one is relatively simple, cash equates to actual currency as well as a check, money order, payments made from a credit card, and an electronic or wire transfer. Any method by which money can change hands is considered suitable and acceptable as a cash donation under the IRS rules. The second is slightly more complicated because there are specific requirements that must be met when you’re donating goods. We’ll get to that in a minute. As for documenting cash contributions, the IRS mandates that any such donation must have a corresponding record or receipt to go with it. This can be in the form of a bank statement or supporting paperwork directly from the charity itself. Canceled checks are also acceptable. Most charities are happy to provide you with a receipt for tax purposes, but they don’t always give you one by default. This is particularly important for any cash gifts of $250 or higher, which require you to have some official document that you donated that amount. Deducting cash donations does not require you to submit all of your paperwork to the IRS with your return. You are, however, going to want it available just in case they ask to see verification of your claims. If you don’t have legitimate supporting proof, then you may find the claims being denied and your deductions deemed invalid. Then you’re going to need to make up the difference in what you didn’t pay the first time around. All of this is a major hassle, starting with the fact that you’ll end up with a larger tax liability when all is said and done. So be sure you have clean and organized record-keeping should you be asked for your supporting paperwork. 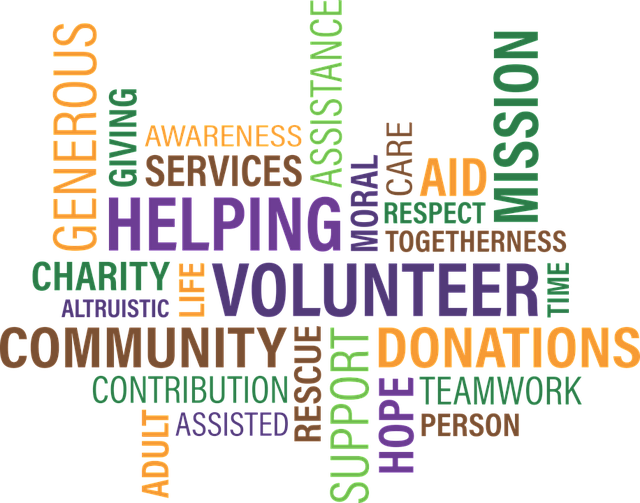 Some charitable organizations offer something in return for a cash donation, typically in the form of merchandise or access to events. In these cases, you will be claiming a deduction on an amount equal or greater to fair market value of the merchandise that was offered to you in exchange for your donation. If you’re not making a cash contribution, you may donate goods and items instead. You’ll need to be well aware of the requirements in place that dictate what you can donate and how it must be claimed on your return. The words “fair market value” come into play with non-cash donations because that will sometimes determine whether or not your deductions are allowed by the IRS. You’re still going to want to keep clean records on hand to prove your contribution of goods, but doing so will be particularly important for any donation over $5,000. In these instances, you will need to have some form of written appraisal documenting the worth above that dollar amount. In order to file for deductions on donated goods, you’ll need a Form 823 and then fill out either Section A (if your total non-cash donations equal more than $500) or Section B (if the goods that were donated come to a total of more than $5,000). If you fill out Section B you’ll need to have that appraisal handy. No matter which section you fill out, you will need to document every item you donated, be it clothing, furniture, books, shoes, anything that was contributed during the filing year, in full. In 2006, the IRS added something called the Condition-of-Goods clause to the tax code to regulate non-cash items that are donated to charities by taxpayers. The reason being was that people were unloading their useless household junk on charitable groups and taking the tax break in return. This also led to taxpayers putting high values on their worthless trash when filing their claims. These practices added up to money that the government wasn’t receiving, so they introduced new legislation in the tax code to curb these actions. Now your donated items must be in good to excellent condition so as to reflect their original value if you hope to deduct the donation from your taxes. Using the rule of “fair market value” when claiming the deduction on those items will help you avoid an audit. If the IRS believes that you’re overvaluing the goods that you contributed, then you could find them disallowed. This begs the question of how the IRS is going to know whether your stuff is really as valuable as you claim or if it’s really junk. That all depends on how much you claim and if the IRS thinks your deductions are excessive, they will start to investigate. The Condition-of-Goods clause now also applies to vehicle donations. Far too many taxpayers were unloading their vehicles on charitable organizations and claiming their deductions based on the value found in the Kelley Blue Book. That is no longer permitted by the IRS. Now you’re required to consider the Blue Book value in concert with the intended use of the vehicle by the charities. Donors are now mandated to inform you how they used the car and if they sold it they must tell you how much they received for it. That information now plays a role in what you claim as a deduction on the value of the automobile you donated. Maybe you’ve donated cash and goods and are looking for other ways to give to charity. You can start by determining whether or not you’ve neglected any possible additional deductions. According to the IRS, if you’ve spent money on certain expenses associated with contributing, then those costs might also be tax-deductible. For instance, volunteering your time itself isn’t tax-deductible. However, you are permitted to claim the cost of gasoline and oil used in your automobile going to and from the charity where you are donating your time. Most taxpayers take the allowed 14 cents per mile as their deduction, instead of documenting their true out of pocket costs. Any expenses for travel that were made while volunteering for an IRS-approved charitable organization are also eligible for a deduction. These expenses can include airfare, bus fare, the cost of a taxi or Uber, and lodging costs while you were away from home. If you had to buy a uniform or have it cleaned in order to volunteer, then those expenses may also be eligible for deductions. The same goes for any other out of pockets costs that were made to support the charity in the routine everyday support of their work. Taxpayers who own appreciated stock will sometimes donate to their favorite charity in order to get rid of it from their portfolio. They are able to receive the full value of the equity in the form of a deduction and skip the capital gains on its appreciated value as well. These are commitments for donations that are made now with the intent of contributing at a future date, whether it’s in the near future or included in your will and funded after you pass away. While these promissory arrangements are enticing for the charitable organizations to which you’ve pledged the pending monetary gift or gifts, planned or deferred donations also provide you with some beneficial tax breaks as well. One of the biggest advantages of these types of gifts is that they help to lower how much of your estate can be taxed. Some individuals will provide a lifetime gift which not only decreases estate taxes but may provide some additional deductions for the current filing year as well. 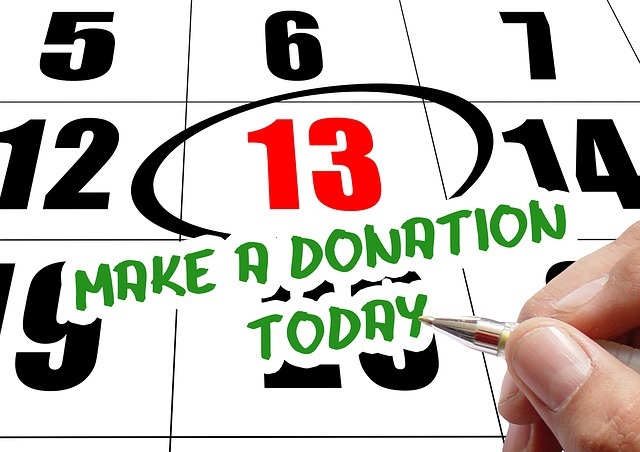 You have a number of choices when it comes to making a planned or deferred donation. These include a charitable remainder annuity trust, charitable remainder unitrust, charitable income or lead annuity trust, charitable income or lead unitrust, and charitable gift annuity. These names can easily run together and sound similar, but each one comes with distinct benefits that might make them worth exploring further. In this method you move assets to a trust that is set up in order to distribute an amount to beneficiaries that are not charities. This can be just about anyone, even yourself. The term of disbursements can run for as long as you wish. Once the decided upon term is reached, the remainder of the assets in the trust are then given to charitable groups. The tax deduction applies to the value of the remaining interest that is given to charity at the end of the term. Simply put, this arrangement provides an income stream for the beneficiaries and the selected charities get whatever is left upon completion of the term. This works in the very same way as the previous annuity trust, but the payouts are based on actual income or a percentage of the trust’s value to your chosen beneficiaries each year. The rest remains the same in that your beneficiaries receive income for the life of the term and the amount that’s left is then given to the charity of your choosing. This method of deferred gifting works the opposite way of the previous two versions. In this arrangement, the charitable groups are issued an annual payment over a fixed term or throughout the life of whomever has set up the trust or some other named individual. Once the term ends, the money left over in the trust is then given to non-charitable beneficiaries. In this arrangement, you may claim the deduction on the value of the annual disbursements given to charity. However, you could also have a tax liability on the income that is taken from the trust, should you be the recipient. Much like the lead annuity trust, the charities still receive the payments first but those are made based on actual income or a predetermined percentage of the trust’s assets for that year. Through this type of charitable donation, you make an arrangement with a charity to distribute payments for a specified term from a donation that is made up front. The charity disburses those funds to you or any other beneficiary that you select. The deduction you can take in this case is the value of the gift donated minus the value of the payment each year. As per the IRS tax code governing tax-deductible contributions, these are the basic regulations that you must follow and comply with when claiming deductions on your return. Remember, all taxpayers are free to claim the standard deduction. Those individuals who feel that they are due more than what the standard allows may file a return with their deductions properly itemized in full. If you add up the amount of donations of your cash and non-cash donations and they don’t exceed what is already offered by the standard deduction, then don’t bother going through the itemization process. For those individuals who feel that their donations equal a greater amount than the standard deduction, then check out the following IRS guidelines for deducting your contributions. The IRS has imposed certain limitations on the amount of deductions you may claim from charitable donations. These are based on your individual adjusted gross income. For all cash contributions, your total deductions are limited to 50% of your adjusted gross income. Anything related to donations of goods or property come with a 30% limit. Stocks or other appreciated capital gains that are donated come with a 20% limit of your AGI. Anyone can start their own charity and you have every right to donate to whomever you choose. However, if you want to claim those donations as a deduction on your taxes, the charities that you give to must qualify with the IRS. The only way to find out if a charity is eligible is by checking to see if that organization receives 501(c)(3) tax-exempt status from the government. Donations that are made to any church or reasonable religious organization are automatically qualified for a deduction. So be sure your charity has the proper IRS approval before you donate anything to them if you plan on taking a deduction at tax time. All of the donations you plan on claiming on your return have to be made in the current year for which you are filing a return. In other words, if you make a pledge to donate at a future date, then you can only take the deduction on that donation in the year it was made. For example, if you pledge to donate $100 in March 2017, then don’t try to take the deduction on it for 2016. Anything that was donated for the current year may be claimed and nothing else. That means cash or goods, any and all of it must be owned by the charity by the end of the year you plan to claim a deduction. For checks and credit card payments, however, you may claim the deduction at the time the payment through either of these methods was issued. If you cut a check to a charity in 2016 but they don’t cash or deposit it until 2017, you may claim it for 2016. The same goes for your credit card bill. It doesn’t matter when you pay it off, the deduction is good for the year that the payment went through to the charity organization. Contributions made to individuals may not be counted on your return. If you hand a homeless person a few bucks or helped out on a GoFundMe page by donating $50, then those contributions are not eligible for a deduction. However, if you were generous with a friend or loved one by giving them money for some reason, that contribution could be eligible based on what it was used for and how it was administered. For example, if you helped out a friend with their medical bills and paid that money directly to the care facility instead of giving it to your friend, then you may claim that deduction. You will need to have solid proof in the form of a receipt or other supporting paperwork from the facility to back up your claim. However, it can be deducted from your taxes in the year that you gave that money out. What Else is NOT Tax-Deductible? So letting your friend borrow $40 without it ever being paid back does not allow you to claim it as a deduction on your taxes. There are other contributions and donations that you are prohibited from claiming on your return as well. Any monies paid out to a political party, campaign, or political action committee or SuperPAC is not tax deductible. If you contributed money to a for-profit school or hospital, then that is also not deductible. Money given to a labor union, business association or chamber of commerce is not eligible, nor are fees or dues paid to professional associations. If you paid a fine or penalty of any kind, whether it’s a parking ticket or a citation for littering, none of these are tax-deductible either. Giving to charities should be about helping others who are less fortunate. There’s no reason why you can’t get some benefit from your generosity, either. That’s why the IRS provides these tax breaks to help those who help others reduce their tax liability each year. The code has designed it so that the more you give, the more you can claim off your tax bill when it’s time to file. 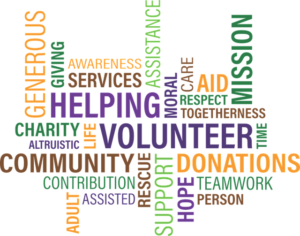 These are all terrific ways to maximize your charitable donations and there are others you might want to pursue as well. Talk to your financial adviser or tax professional to discuss these tax-deductible options before you have to file a return for the upcoming tax year.